I am so incredibly proud of my eldest daughter today. 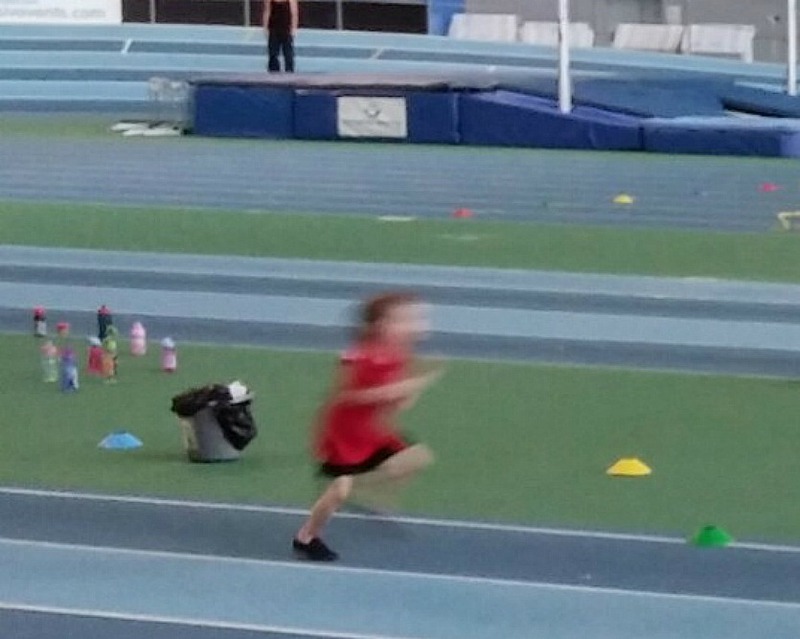 This morning we travelled for 30 minutes to an indoor athletics stadium to watch my eldest take part in her very first sports day. The stadium was very professional and I was at first worried at how she might react at walking out into such a large capacity stadium. 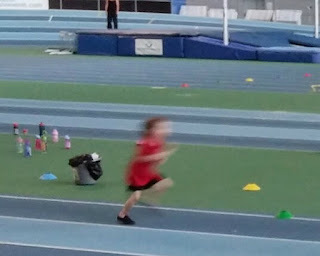 She took it all in her stride and marched out into the middle of the track with the rest of her class mates. She waved at the crowd as she walked past with the rest of her team, team red, and she waited patiently for her turn at each event. I was so proud of not only the effort she put into each event but also her team spirit as she cheered on other members of team red. She worked so hard and put all her effort into every event. The only pictures I manged to get of her are blurry so I apologies for the poor quality of them. This day I love Go team red!